Commemorating Karen Lee Hunt and Pan Am 103. Congratulations, 2018-2019 Remembrance and Lockerbie Scholars! This site features biographical information on the Karen Lee Hunt, London: 1988, and Reflections pages. For more information about Karen Lee Hunt, including the remarkable story behind Richard Newbegin’s “Song for Karen,” please visit Karenleehunt.org. The Pan Am Flight 103/Lockerbie Air Disaster Archives at Syracuse University has extensive information on Karen, the other victims, and the legacy of Pan Am 103. I am always interested in hearing from those who knew Karen or others on the flight. Those willing to share memories or information may contact me at fjordaniv at gmail.com, or by using the site’s contact form. On December 21, 1988, stunned air traffic controllers in Scotland watched in horror as a 747 carrying 259 passengers and crew home for the holidays suddenly blossomed into a fan of debris on their screens. In an act of terrorism predating September 11, 2001 by over a decade, a terrorist bomb destroyed Pan Am flight 103 over Lockerbie, Scotland killing all on board and 11 on the ground. Though I didn’t know anyone on the flight, I would soon find myself enmeshed in a tragic yet moving story spanning decades. 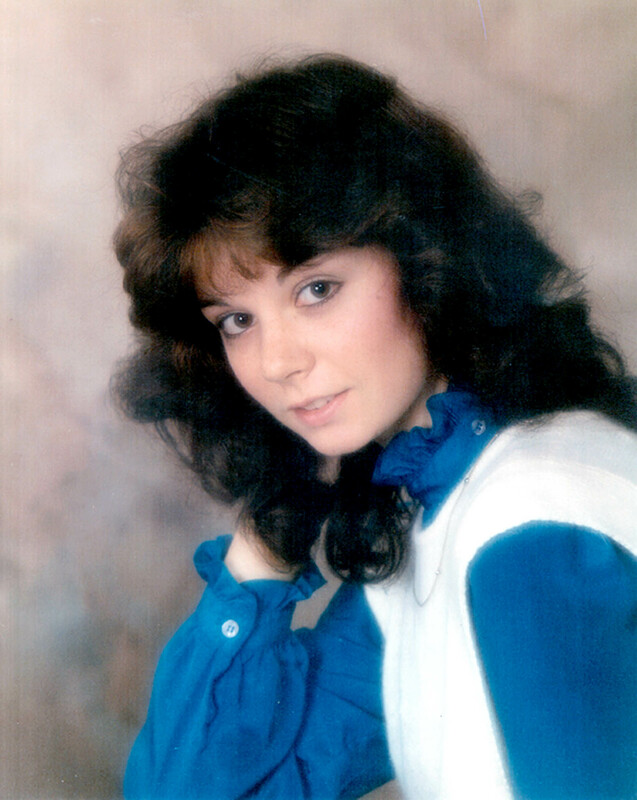 This site is my effort to memorialize Karen Lee Hunt, an intelligent young woman from Webster, New York, to chronicle the powerful effect her life and death had on me, and to record my journey of rediscovery 25 years after the Lockerbie bombing. This is a story of how even the smallest of actions can resonate years later, of how we can find a light in the face of even the deepest darkness, and of how we can wrest a person’s memory from the grasps of time and death. It started on an unremarkable evening in the first hours of winter, midway through my junior year at Nazareth College. The screams of a bereaved mother at JFK echoed through my thoughts as I anxiously watched for another breaking report. I’d followed the story since the first news of the 747’s crash broke around 4 that afternoon. Tragedies of this sort affected me, but that night’s news carried with it a grim fact that elevated my growing sense of unease: there were a number of students from Syracuse University aboard. How many of them would I have known had I attended Syracuse rather than Nazareth? The thought crossed my mind repeatedly all evening. A friend from high school had matriculated at S.U. 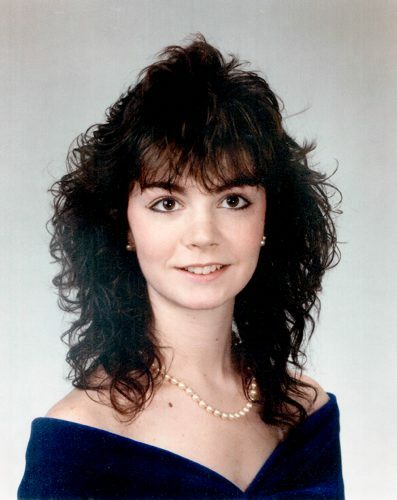 in 1986, but as I’d just learned, Kym transferred to Geneseo after her freshman year. The chances of knowing someone on the plane were slim. In fact, the chances of even knowing someone who knew the victims was remote. The latter thought did nothing to assuage my growing discomfort as a tragic cavalcade of sounds and images passed through the television, now a portal to the tragedy unfolding in videos, sound bytes, and snapshots before me. The coverage juxtaposed abstract images of flaming rooftops and dimly lit wreckage with the horrified screams and cries of family members who were forced to confront the possibility that their husbands, wives, parents, or children were dead as they, the bereaved, were suddenly thrown on to the most public of stages. Karen Hunt during her senior year at R.L. Thomas High School. Photo Credit: Pan Am Flight 103/Lockerbie Air Disaster Archives at Syracuse University: The Karen Lee Hunt Family Papers. A flicker of blue and white caught my attention; in the background, a newscaster gravely announced a local connection to the crash in Scotland as a photograph of a striking young woman materialized on the screen before me, her large eyes seemingly peering into my own. I didn’t know her. I’d never seen her before, though she bore a passing resemblance to a high school friend. I had, at that point, no sense of connection to her, no reason to anticipate what would follow in the coming days, no inkling that I was at that very moment being affected by a disaster that had taken place hours earlier in a small town over 3,000 miles away. One of the oldest planes in Pan Am’s fleet, N739PA reflected the company’s traditions and tribulations in equal measures. The 747 wore Pam Am’s distinctive blue and white livery, including the giant roundel on the tail and the plane’s name emblazoned under the cockpit. Like most flights, Pan Am 103’s name paid homage to the flying boats that once projected the airline’s prestige across the globe: Clipper Maid of the Seas. Extensively refitted the previous year, the 747 now boasted a strengthened floor designed to handle heavy cargo in case the military required more heavy transports, but the overhaul couldn’t mask the dated decor and worn materials aboard the aging jetliner. Perhaps the aircraft’s 18 years of service and tired interior could be seen as a physical metaphor of the once great airline’s gradual slide into decay—the smooth exterior, like the prestigious routes across the Atlantic, was but a facade masking problems often hidden from view. Though the company had been battered by years of setbacks and losses, the most pressing of these concerns was neither aesthetic nor financial in nature. Passengers booking a flight with Pan Am paid an extra $5 per ticket for the airline’s supposedly rigorous security, yet the company’s own studies had found serious breaches of protocol. The women and men who boarded the flight in Heathrow had every reason assume that theirs would be a routine flight. No one could have guessed that an unchecked Samsonite suitcase containing a Toshiba radio would pass through Pan Am’s enhanced security with nothing more than a cursory pass through a x-ray machine. The device, obsolete even by the standards of the day, couldn’t detect the pound of Semtex hidden in the radio. The passengers that evening were a sundry lot: soldiers returning home from the holidays shared rows with their families. Businessmen and women climbed the spiral staircase to the upper deck or lounged in the Clipper Class seats behind the cockpit. Young couples, eager to vacation in New York or to start new lives in the states, found their seats throughout the jet. Sixty of the passengers were college students returning home from semesters spent abroad abroad. Thirty five of the students were enrolled at Syracuse University, the bulk of whom had spent the semester at S.U.’s center in London, the city from which the aircraft had just departed. Many of the students were juniors; unsurprisingly, a large number of them were English and theater majors drawn to the mystique and allure of one of the world’s cultural capitals. Among them were Miriam Luby Wolfe, an intellectual young woman who filled her journal with thoughts and concerns that closely mirrored my own. Alexander Lowenstein, a 21 year-old English major who shared my fascination with Lord Byron’s romanticism, joined his friends in the seats behind the Clipper Class. Brilliant, talented Theodora Cohen planned to launch a new series of student-run theater productions at Syracuse the following spring. Karen Lee Hunt, Pi Beta Phi Portrait, 1988. Photo Credit: Pan Am Flight 103/Lockerbie Air Disaster Archives at Syracuse University: The Karen Lee Hunt Family Papers. Kenneth John Bissett, a Cornell student who dreamed of becoming a writer, had spent the term studying at Syracuse’s London center. He took his seat in the 31st row next to Karen Lee Hunt, a young woman who shared his passion for writing. Half an hour into the flight, the pilot throttled the engines back. Karen might have glanced out the 747’s window for a moment. Outside, thin air swept over the trailing edge of the starboard wing which faded into the vast blackness of the cold night. The darkness obscured the sweeping landscape 6 miles below, hiding the Solway Firth and the Scottish coast from view. Thousands of feet below, clouds blanketed the plains of Dumfries. It was a damp evening in the pastoral town of Lockerbie. Sheltered by the warmth and safety of the 747, Karen looked toward the front of the aircraft. Pan Am Flight 103 was tracking northwest; in a matter of minutes, the plane would turn to the west toward JFK international airport. The interior lighting illuminated the light freckles on her nose and the traces of exhaustion on her face. She and her fellow students had the time of their young lives that fall, and many saw fit to continue the revelries 31,000 feet above Scotland. One of them, Christopher Jones, had implored his girlfriend to join him that evening, telling her, “It’s going to be a real party flight.” She deferred, but many others were here. Most of them had posed together for a few candid shots before boarding the jet. Quite a few of them smuggled treats purchased at Heathrow’s consignment shops aboard. Karen’s mother, father, sister, and boyfriend–who had just purchased a dozen red roses for his sweetheart–would greet her as she debarked her feeder flight around 11:30pm in Rochester, NY. Though Pan Am 103 was scheduled to arrive at JFK at 9:30, the Webster native would have to wait a few more hours for her homecoming. Though she was exhausted by days of finals, Christmas shopping, and packing, her excitement would nevertheless give her enough energy to weather the inevitable barrage of questions before she could finally crawl into her own bed. With the exception of breaks and weekends, she’d effectively been away from home since the start of her sophomore year. She was returning home a more mature and worldly woman, ready to begin the second half of her junior year in January. First though, she’d have several rare, much-needed weeks with her family. Hundreds of tons of plane and passengers sliced through the -50 degree air at 500 miles an hour as it crossed the Scottish border just a few miles south of Lockerbie. Seconds before 7:03pm, the unnatural force in the unchecked Samsonite suitcase opened the fuselage, and the frigid, roaring darkness engulfed the cabin. At last, I had a name connected to the soulful eyes that seemed to gaze into me an hour ago: Karen Hunt, a 1986 graduate from Webster. She was my age. A number of my friends were her classmates. If the tragedy remained abstract, it no longer felt distant. This hit far too close to home. The article’s title carried with it a fleeting sense of hope: “Webster Family Waits for Call.” Karen’s face, captured in a black and white halftone image, peered out from the front page of the Democrat and Chronicle. We already knew what many of us had known intuitively last night—that there would be few miracles in the aftermath of the Pan Am 103 disaster. Tucked away on the second pages were the details that would spark an epiphany in the coming hours. Karen was, like myself, an English major with a passion for journalism. While I wallowed through my sophomore year, Karen flew to Chicago to interview magazine editors for a class project. Humbled and impressed by her talent and ambition and saddened by the loss of a gifted and intelligent peer, I resolved to ask my friends about her when classes resumed in January. I was fully prepared to leave it at that, until the early morning hours of December 23, 1988. Like so many of us who grew up in the 70s, I’d known more than a few friends, neighbors, and classmates who died young. Cancer, suicide, shootings, and accidents claimed the lives of too many of our peers in the 70s and 80s. Each loss affected me, though those effects were naturally shaped by my age and the nature of my relationship with each of those lost. None of it mattered that night. It started with a waking moment, the memory of the almost unnaturally large soulful eyes staring into me from the television screen, and the lyrics of a melancholy song that worked their way into my thoughts. Then it struck me without warning, logic, or reprieve. The sense of loss was excruciating and violent in nature. I shook, sobbed, and ached almost uncontrollably. It felt as if something had been ripped from my life. It felt like I had lost a friend. It felt like I had lost my best friend. The bombing of Pan Am 103 haunted my dreams in the ensuing months, and I struggled to articulate the inchoate sense of anguish I felt in the aftermath of Karen Hunt’s death. The ethos of the time was such that even the families and friends of those lost were chided for their grief, and I soon learned the wisdom of internalizing my feelings. After all, what gave me the right to mourn the death of someone I never knew? The guilt born of these emotions was matched only by the guilt that stemmed from my inability to help Karen’s family in any meaningful way. As much as anything, I felt isolated and perhaps a bit freakish for feeling as I did. One simply didn’t discuss these feelings publicly or even privately in the 1980s. As the semester progressed, I resolved to put Karen’s death behind me once and for all. Though I would never forget her or consign the memories of those lost on Pan Am 103 to oblivion, the gnawing sense of loss and frustration, the guilt, and the endless stream of nightmares were simply too much to bear. On April 21, 1989, 4 months to the hour after Karen’s life ended in Lockerbie, I visited her grave to pay homage to her and to bring this unsettling chapter of my life to a definitive close. The visit did in fact partially close that chapter of my life, but in a way I had never foreseen. I entered Webster Union Cemetery with the hope of ending a story; I left with the uncanny feeling that somehow, in some way, I had been touched by and drawn further into the very narrative I was so desperate to escape. Inspired by the visit, I penned my first poem several days later. For the first time, I was able to focus and express my emotions in a cohesive and satisfying way. In a matter of minutes, Karen Hunt was no longer a tragic figure haunting the periphery of my consciousness; rather, her life had become a source of inspiration. Though I was still haunted by the lingering sense of tragedy, I also left Webster Union Cemetery with a newly discovered sense of agency that would have unforeseeable repercussions in the immediate future—and decades later. In the April of 1990, Karen’s father published a letter in the D&C in which he expressed his frustration at the singular lack of reaction to what was then the worst terrorist attack against U.S. citizens in history. The letter finally spurred me to action, and I mailed a poem expressing similar sentiments the following day. The poem was rough, graphic, and blunt, a representation of the anger many felt at the time and the product of my still limited skills, but I thought it appropriate that I would finally be able to share a poem with the family of the woman who had inspired me to take up poetry. As the years passed, my visits to Karen’s grave grew less frequent until, in the early days of 1996, when they ceased entirely. Though I would follow the criminal and civil cases and December 21 remained a melancholic day for me, it seemed as if the voices of Lockerbie had finally been stilled. It would take nearly 2 decades for me to understand just how wrong I was. Almost 25 years had passed since the bombing of Pan Am 103 when I approached the computer to fritter away some time before class. Thoughts of Lockerbie rarely crossed my mind anymore, yet I felt compelled to do a search for Karen Hunt nonetheless. I had long ago given up any hope of learning more about the enigmatic woman whose death had affected me so deeply in my early 20s, a woman whose life was, for me, constrained to a few descriptions related by mutual friends, a scattering of newspaper articles, and a number of memories which remained remarkably sharp decades later. Dave Kaspersin, a Rochester native, created a website in the 1990s, though such was my distance from the tragedy that I failed to fully parse the material he posted, thus missing a story with some remarkable similarities to my own. Robyn Hunt-Barry’s video tribute to her sister, posted days before my casual search, resurrected long-dormant emotions. I’d once thought the passage of time had blunted the emotions and silenced the echoes of the long distant tragedy and the ensuing days, months, and years. Encapsulated, buried, and now recovered, they burst forth poignantly as family photos chronicled Karen Lee Hunt’s growth from infancy to adulthood. I’d seen more of her in 7 minutes than I had in nearly a quarter of a century. A wealth of material simultaneously appeared on Syracuse University’s Pan Am Flight 103 Lockerbie Air Disaster Archives. For the first time I was confronted with the possibility that I might be able to learn who Karen was as a person; perhaps by learning about her, I could finally understand the events of the year following the Pan Am 103 disaster. Then I remembered the poem, a copy of which sat, unread for 23 years, in a folder in the basement. Written less than a year after my first, the poem was the product of—and appropriate for—the years immediately following the bombing. Horrified by the graphic content, I realized that I might have offended the family of the one who inspired me to take up poetry in 1989. My reaction clouded the work’s historical context; the frustration, the resistance to the investigation, the public castigation of grieving relatives, all of this slipped my mind that moment. The following month, I found a number of newsletters published by Victims of Pan Am Flight 103 in the archives at Syracuse University. A few dated back to 1989 and 1990, the organization’s first year of existence. I left Karen’s grave in 1989 with an uncanny sense that I had been drawn into something larger than myself, as if part of something unseen and indescribable departed with me. It would take 24 years for me to discover just how true this was. There in the pages of VPAF’s June 1990 newsletter was the poem I had sent to the Hunts decades ago. I had visited the Archives’ website to learn more about Karen’s history; in doing so, I’d stumbled across a small but important piece of my own, a work shared with Karen’s family, now flung 23 years to the present as a reminder of how I had indeed been pulled into Karen’s story—and as an invitation back to it. This site’s evolution matches the protean nature of my experiences with Karen’s legacy, with the exception of one constant: to honor Karen Lee Hunt and others who lost their lives aboard Pan Am 103. In its first incarnation, Roses for Karen (I abandoned this title due to its similarity to a Faulkner short story) was an introspective biographical exploration of the events in my junior year that might have laid the foundation for the powerful series of experiences in 1988 and 1989. From there, I followed the path through 2013, concluding with my first visit to Webster Union Cemetery in over 17 years. The visit seemed like a fitting bookend to a story 25 years in the making, though it would only represent the project’s conclusion, rather than a second attempt to walk away from the memories of December 21, 1988. The visit was almost as powerful as the first, precipitating a trip to Syracuse University’s Remembrance Week, a visit to the archives, and a growing sense that there was much more to be written. That December, we returned to Syracuse University where my wife and I attended a memorial service commemorating the 25th anniversary of the bombing of Pan Am 103. We traveled to Webster a week later, where we had the opportunity to spend several hours with Bob and Peggy Hunt, Karen’s parents. Perhaps even more so than in 1988, I found myself caught up in a remarkable, tragic, yet inspiring narrative. My attempts to understand the power of Karen’s life and death through the lens of my biography suddenly seemed trite, unsatisfying, and ultimately unsuccessful in light of my recent experiences. The following spring saw extensive revisions that centered more around Karen’s biography, her experiences in London, and on my reactions to the events of 1988, 1989, and 2013. This site continues to evolve with the addition of new material, photographs, and a broader focus on the larger historical events that shaped us all. Though I have purposefully avoided specific details, the Pan Am 103 page contains a detailed description of the immediate aftermath of the explosion as well as the locations where a number of passengers were found and the reactions of a number of friends and relatives in the hours following the bombing. I included these details to provide those who are unfamiliar with the events of December 21, 1988 with an account of the bombing and its effects on those closest to the passengers. I’ve often grappled with the need to balance storytelling and history with sensitivity to the relatives and friends of those lost; indeed, I’ve seriously questioned the nature and scope of this project on many occasions. Nonetheless, I believe that the account is a necessary part of the story. There was something deeply unsettling about the national reaction to the bombing and the plight of those who had lost loved ones. September 11 profoundly changed the way we view terrorism and the grief produced by the most public of tragedies. For many reasons, Pan Am 103 was different. Outside of Syracuse, New York City, Long Island, New jersey, and the other locations hardest hit by the attack, the bombing slipped from the news cycle with a disconcerting rapidity. I was never fortunate enough to meet Karen Lee Hunt; there is little I can do to comfort those who continue to feel her loss to this day, but in creating this site, I hope that I can keep the memory of the kind young woman with the enormous, haunting brown eyes alive. Thank you for the inspiration, Karen. I wish we could have met. The bulk of the material for this site is drawn from memories, newspaper clippings, books, letters, and interviews. I’d like to thank and acknowledge those who have contributed directly or indirectly to this project, which has grown exponentially from its inception in 2013. Thank you to those who have shared their memories and experiences with Karen’s story; it’s heartening to know that others were deeply affected by her life and death, including many who never met her. Thank you Richard Newbegin for writing the beautiful “Song for Karen,” and David Kaspersin for sharing Richard’s story. Your inspiration informed this site, led me back to Karen’s story, and reminded me that words can carry with them the power to transcend death. Ed Galvin, Cara Howe, and Vanessa St. Oegger-Menn, thank you for keeping alive the memories of those lost on Pan Am 103 through your work at Syracuse University’s Pan Am Flight 103 Air Disaster Archives. Many of the photos on this site are used with permission from the archives. Cara, you displayed the patience of a saint when you dealt with my requests. Bob, Peggy, and Robyn, I wish we could have met sooner and under different circumstances, but Traci and I are happy to know you. This site was made possible with your generosity and kindness long before we finally met. Karen’s light and beauty shines in each of you, and your beauty shined within her. Thank you for sharing so much with us. I dedicate this site to you, to Karen, and to the memory of all those affected by Pan Am Flight 103. Really heart melting story . I felt extremely sorry for the victims of Pan am 103. That’s really beautiful. I flew to France on a vacation shortly after this tragedy and I remember how hectic the airport security was. I never forgot about Pan Am Flight 103. It’s just as tragic as 9/11/01 and any other senseless violence. I hope Karen’s family as well as the other victims’ families have found peace over the years. Living on after a loss so tragic shows an amazing amount of strength. I can’t even fathom being able to handle losing a loved one like this. Those people are my heroes. Hello, this is beautifully written. I was one of Karen’s roommates and closest friends in London and a close confidant. If you had the honor of knowing Karen you would have known one of the most kind hearted, caring, & generous souls. She saw the “Good” in everyone, I’m honored that I was able to call her my friend. Simply: I’m sorry. She was a Angel…Sorry…sorry…sorry… no more words. I am very sorry about Karen and all the other lives lost that terrible day which affected so many people’s lives. I clearly remember the news coming over the radio that afternoon here in Belgium, while I was attending to my then 2 month-old son. I have never forgotten the terrible scenes from Lockerbie and later read some of the books written by family members of the victims. My heart goes out to all of you. We will never forget.